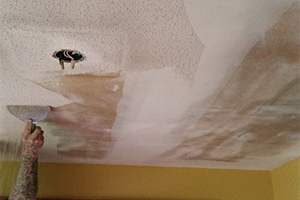 We specialize in popcorn ceiling repair and removal. 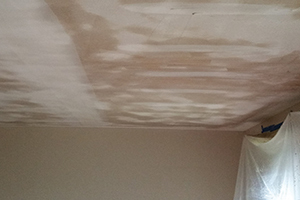 The popcorn ceiling repair process involves removing the damaged areas, tenting off the same areas, and shooting new popcorn, closely matching the existing texture. Popcorn ceiling removal includes scraping off the popcorn, repairing and/or re-taping the drywall, and painting the ceilings. We make sure that the work areas are kept clean and protected by covering all furniture and masking off the walls.